In May 1955, the Leo Baeck Institute (LBI) was founded in Jerusalem by a diverse group of intellectuals and well-known public figures of German-Jewish origin. Among them were Martin Buber, Shmuel Hugo Bergman and Ernst Simon. The picture above taken in the mid 1950s shows them on the terrace of Buber’s house in Jerusalem. 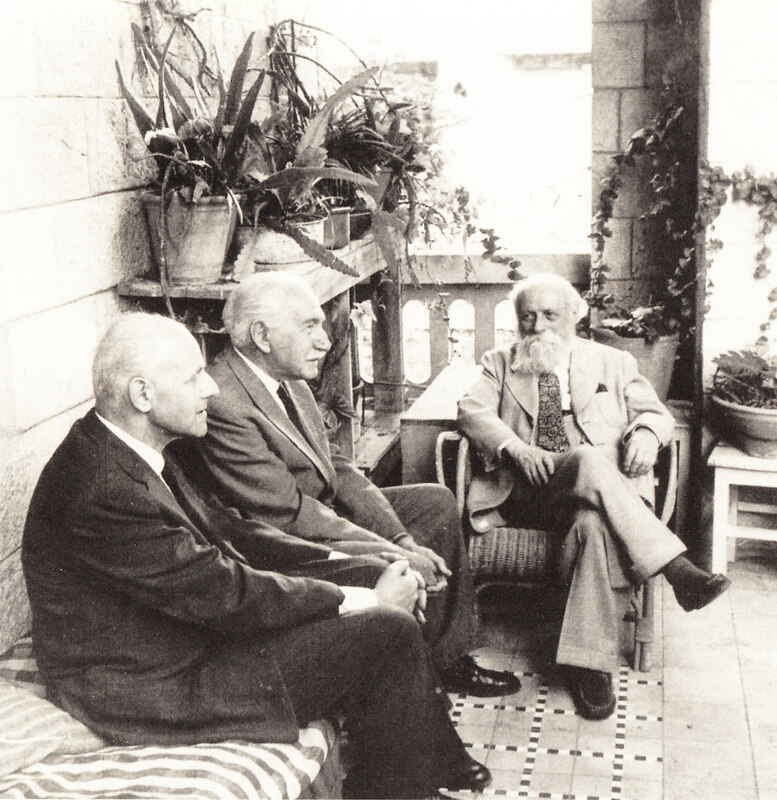 Today, the Leo Baeck Institute Jerusalem is proud to continue the work of its founders. In recent years, LBI Jerusalem has expanded the original mission and added new activities and programs of relevance to contemporary Israeli society by encouraging a dialogue focusing on the experiences and traditions of German and Central European Jewry. LBI Jerusalem considers research to be its foremost priority and since its inception, has published many studies on German and Central European Jewry in Hebrew, English, and German. Other publications include the following series: the Hebrew “Bridges” −Studies in the History of Central European Jewry, “Innovations” −Studies in the History of German and Central European Jewry, as well as the German “Jüdischer Almanach”. In order to promote and support academic research, LBI Jerusalem has developed a wide range of programs and seminars, such as its “International Summer Research Seminar”. The Institute also awards research grants to young scholars in the field of Central European Jewry and continues to explore new ideas for supporting graduate and postdoctoral students. Academic and cultural events have also become an integral part of LBI Jerusalem. We make great efforts to share our research both with the Israeli academic community and with the general public. The international conferences, as well as the lectures, literary cabarets, and film evenings of the LBI Jerusalem are tailored to both academic and general audiences. The LBI Jerusalem maintains an archive consisting primarily of papers and documents of Central European Jews who immigrated to Israel. In addition, we are currently developing a film library on the history of Central European Jewry as well as a project documenting the biographies of Israelis of Austrian origin via video-interviews and a detailed database.